This illustrated poster is part of a charming series of posters on literacy skills. 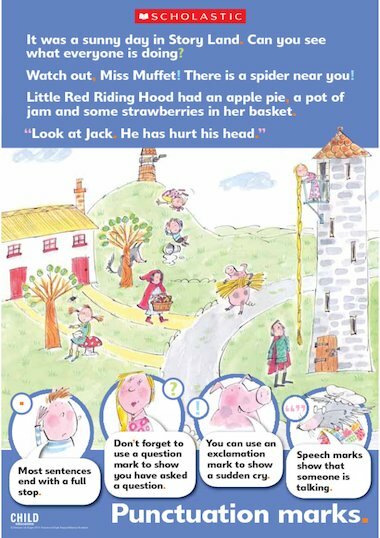 You can use the poster as a context to practise punctuating sentences. This gives the children the opportunity to speak and write a number of connected sentences which might develop into a simple story. Related activities can be found in the August 2005 issue of Child Education.